ST. GEORGE – This year marks the fourth growing season of the community garden at Tonaquint Nature Center and the eighth season for The Garden, which serves as a demonstration garden. 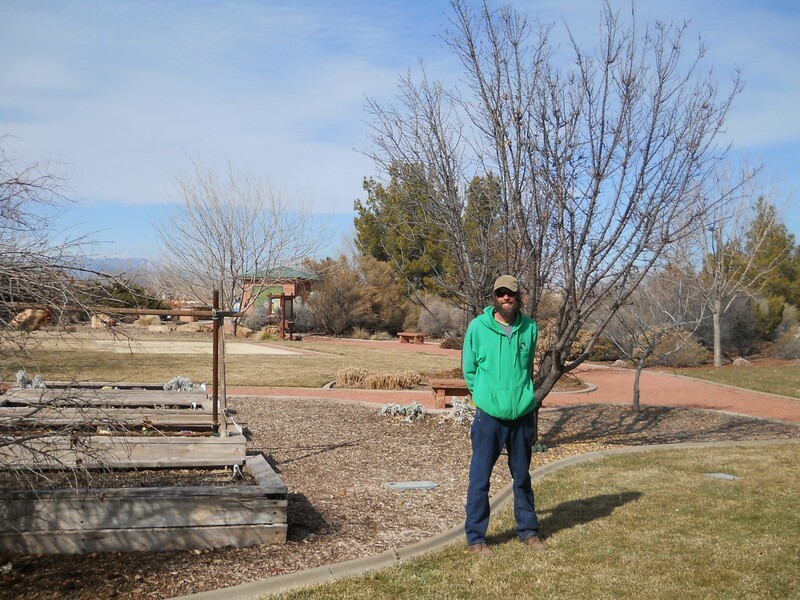 Since 2012, under the management of horticulturist Casey Jones, and through communal volunteer efforts, The Garden has donated about 500 pounds of fresh fruits and vegetables to the Grace Episcopal Church’s soup kitchen at 1072 E. 900 S. in St. George. Volunteer service is promoted by allowing community renters the option of having their annual fee of $30 waived by volunteering two hours per month annually at The Garden. This year Casey Jones expects the pounds of produce donations to increase. “Last year we were able to produce 100 pounds more than the previous year due to the richness of the soil,” Jones said. Popularity of plot rentals has increased immensely since its inception in 2010. The community garden rents 50 plots each growing season to Washington County residents. Last year was the first year that all plots were rented and this year the plots are already occupied. The demo garden, which is in partnership with the Washington County Water Conservancy District, provides an environment by which people can gain awareness of planting responsibly in the desert by means of water conservation. As the third season renter of a plot from the community garden, St. George resident, Ellen Bonadurer, said the $30 annual fee is well worth it as planting one’s own food has exceptional benefits in today’s world. The community garden expects to expand acreage in order to offer more rental plots in the near future. “As long as we continue receiving wide spread participation, extending out another acre is already in the works,” said Julie Breckenridge, water conservation manager with the WCWCD and The Garden’s administrator. I would like to offer a quick word of advice about the free community gardening classes at Tonaquint. Though they are a wonderful service for the community there could be so much more involvement. Perhaps if there is such a demand and they have to turn people away they could charge a minimal fee so that people interested could save a spot. Then that money could go towards the garden upkeep etc.